If I Hire a Contractor, Do I Need a Certificate of Insurance? A Certificate of Insurance is a document summarizing insurance coverage and should be issued by an agent on behalf of an insurer that says a policy has been issued to an insured. The Certificate is usually issued to a third party who wants some evidence or assurance that a policy has been issued and is in force. The Certificate itself is a document naming the insured, identifying the insurer issuing the policy, the type of policy and the limits of insurance and listing the Certificate Holder, typically the requestor. On some occasions, it may identify some types of exclusions, but the Certificate never provides all the contract terms, exclusions or other conditions of coverage. What is the purpose of a Certificate of Insurance? The Certificate of Insurance is an important document serving as the insured’s evidence to customers, contractors or other third parties that the insured has obtained insurance. It indicates that the business or individual named as the insured has the financial resources available to protect those who may come to harm through their own negligence. It serves the same purpose that a driver’s proof of insurance serves to the victim of an auto accident whose car has been damaged — it shows that somewhere an insurance company issued a document saying there is a policy that may cover the loss. When should you request a Certificate of Insurance? What type of insurance should the Certificate of Insurance display? •	General Liability Insurance: If the contractor’s error or accident causes property damage, this coverage is designed to cover those damages subject to the terms and conditions of the policy. •	Workers Compensation Insurance: If the contractor or your contractor’s employee is injured while working on the job at your property this policy is designed to cover their injuries. *Note: Some contractors may be exempt from carrying Workers Compensation Insurance – in this case request a copy of their exemption. However, this exemption will provide protection ONLY for that individual, not any other workers they may bring along. If the contractor does not have the proper insurance coverage, YOU may be financially responsible if something such as an accident or an injury occurs during the contractor’s work. A reputable contractor will be more than happy to verify proper insurance coverage! Is it acceptable to accept the Certificate of Insurance directly from the contractor? It is highly recommended that you obtain the Certificate of Insurance directly from the agent, agency or insurance carrier. The contractor may also contact their agent, agency or insurance carrier providing your name, address & preferred method of delivery for you to receive the Certificate of Insurance. Why is it important to receive the Certificate of Insurance directly from the agent, agency or insurance carrier? The agent, agency or insurance carrier won’t issue the certificate if the policy/policies are not in force/active. That’s not saying if the contractor supplies you with the certificate that his/her policies aren’t in force/active, you just have no true verification. We also recommend you get an updated certificate on the day the work commences to insure policies are still in force. 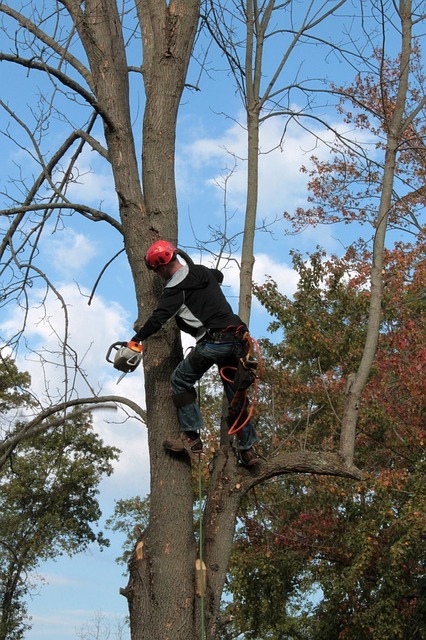 For example, Bob received three bids to get some tree limbs removed and procured the certificates of Insurance showing proper coverages. A few weeks later, Bob chose Company A to do the work. They completed the work and a limb fell on his house, causing considerable damage. His certificate showed he was insured when he got the bid, but Company A didn’t pay their premium and the policy was cancelled, leaving Bob in the lurch! You should always consult with an insurance professional if you have any questions regarding your liabilities. An agent at the Morse Agency would be happy to assist you. This entry was posted in Certificate of Insurance, general liability insurance and tagged Certificate of Insurance, Hiring a contractor. Bookmark the permalink.